ARROGANT FROG. Definitely not the first two words that would come to mind when thinking about wines. Definitely not the two to combine to actually describe anything. After all, Disney got us psyched that a frog can only become a prince. 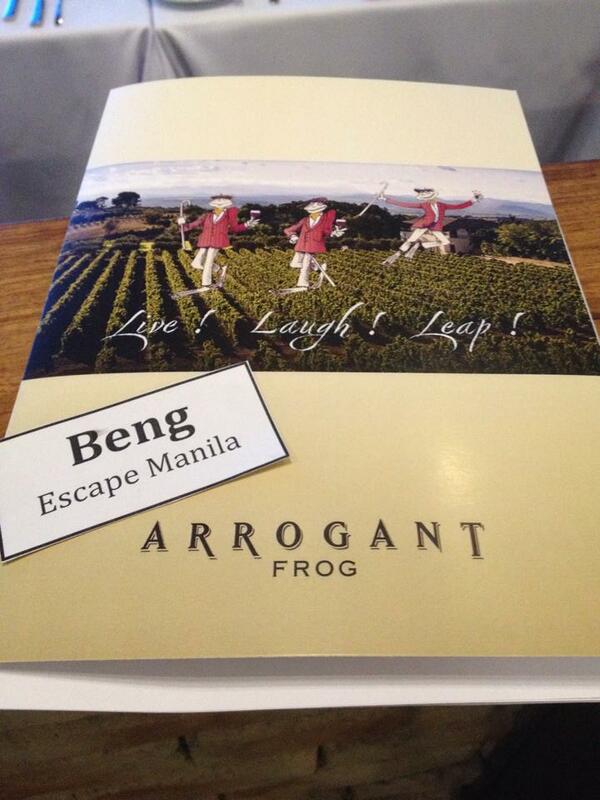 We never knew anything about an Arrogant Frog. Interestingly though, this is the name carried on by a line of wines from Les Domaines Paul Mas. Known as the humble wine maker, Jean-Claude Mas combines tradition with innovation to create Southern French wines that adapt to the changing needs and moods of their clientele. 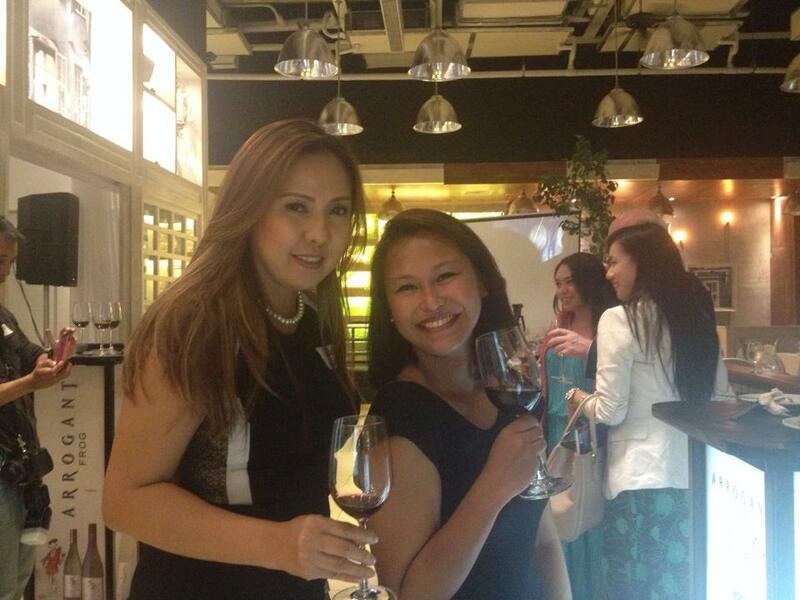 Forth& Tay, the wine brand’s distributor here in Manila, was gracious enough to invite Escape Manila to their press launch and wine tasting last June 25 at the Le Jardin in BGC. Fancy! What could be better than wine and cheese and people-watching! James du Vivier of Forth &Tay – Future Trade, and Guillaume Borrot, one of Arrogant Frog’s winemakers, opened the night by welcoming guests and sharing the story about the brand and about the wines. What makes it stand out for me is how they are positioning the line. They wanted to give young professionalsa no-frill-only-chill wine experience and for mature wine lovers, it is a refreshing new take on their traditional Southern French wines. They also did away with the traditional corkscrew and adapted the screw cap instead to fosterconvenience and less spoilage. Now that is very practical. 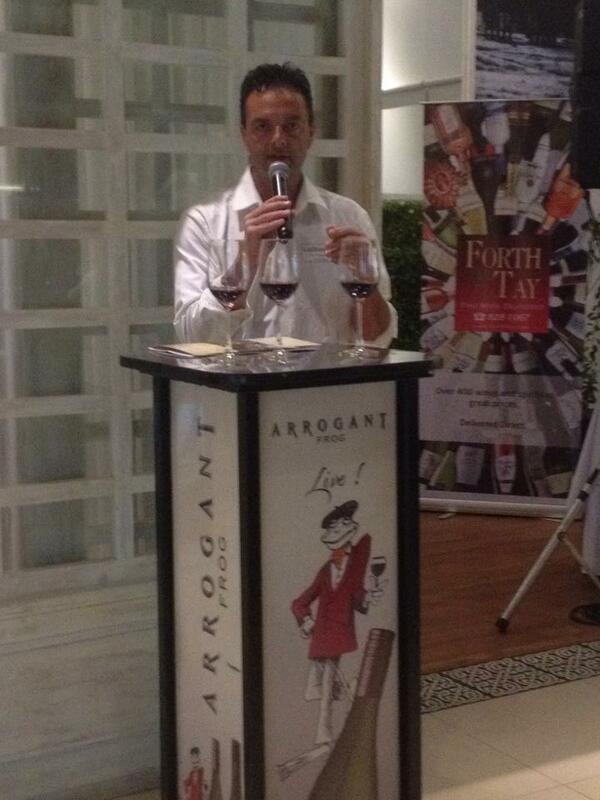 Guillaume took over the stage and introduced the wines one by one starting off with the whites. He described the different notes, mouth-feel, after-taste, ageing time, grape varieties used, part of France where these grapes are grown, and many other wine connoisseur-ish things that one would most certainly forget after having at least 2 glasses in under 10 minutes. 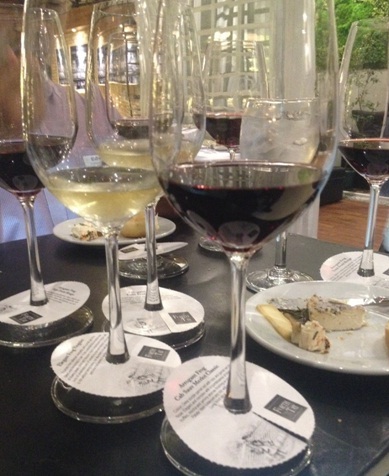 I personally like wines but I’m more of a red so starting off with whites was really interesting.Since it was a wine-tasting event and we were in cheese heaven, I was looking forward to the wine-cheese pairing. I am sure, because I have tried, that mixing and matching the cheese with any of the wines will do but I was curious what pairing would be best to accentuate the wine and be able to taste the difference other than saying, ”I like this better” after having x number of glasses already. 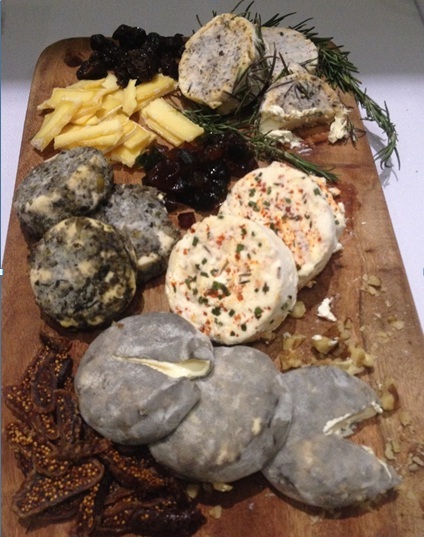 The hosts, however, left it to us to sample the cheeses with the wines along with some dessert tarts. Guillaume talks about the reds. Forth & Tay was so gracious I lost count! Disclaimer: Not all was mine. I also wish that at the beginning, there was some sort of ice breaker for the guests to get to know each other. I was fortunate enough to be standing beside ErleneSilvinoof Forth & Tay who became my chika friend for the night. She was gracious to have introduced me to her colleagues and she shared how wine-filled her week has been as well as her personal top picks from Arrogant Frog. 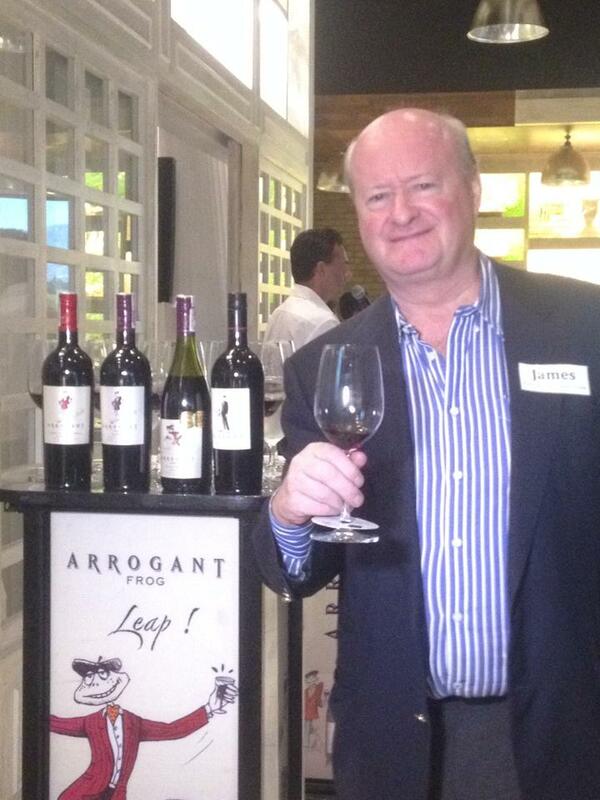 As for me, my personal favorites were the Elegant Frog Viognier, and Arrogant Frog Sauvignon Blanc for white wine, and Elegant Frog Cabernet Sauvignon for red wine. Liking two variants from the whites was a pleasant surprise for me since I am a red person. I never thought I would enjoy it as much as I did. Feeling that I am in a happier place already where there is no traffic, and no such thing as leg-cramps-from-wearing-heels exist, I decided to call it a night. Once again, Forth & Tay has been very gracious by giving us loot bags (told you it was a happy place!) and the privilege to have our wine bottle signed by no less than the winemaker himself, Guillaume. He was very accommodating not just to my fangirl moment but also with other guests in answering questions about his wines, and whether or not he has tried Jollibee, or balut. With the winemaker and my signed bottle. Merci beaucoup, Guillaume! Apparently, drinking wine can actually feel normal, friendly, warm, and fuzzy. It does not need and does not have to be that intimidating. 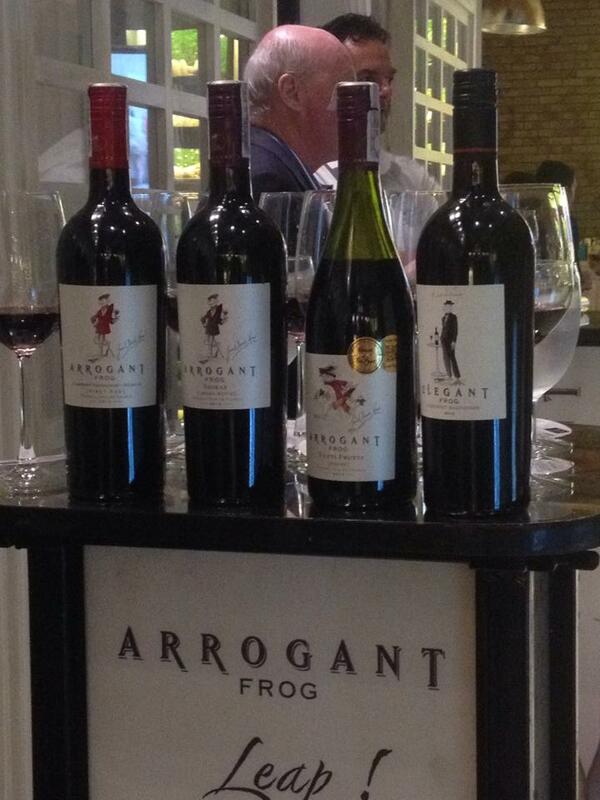 Too bad though Arrogant Frog is available on-premise as of the moment, meaning you can only get them from partner restaurants like Le Jardin and via ordering from Forth & Tay . 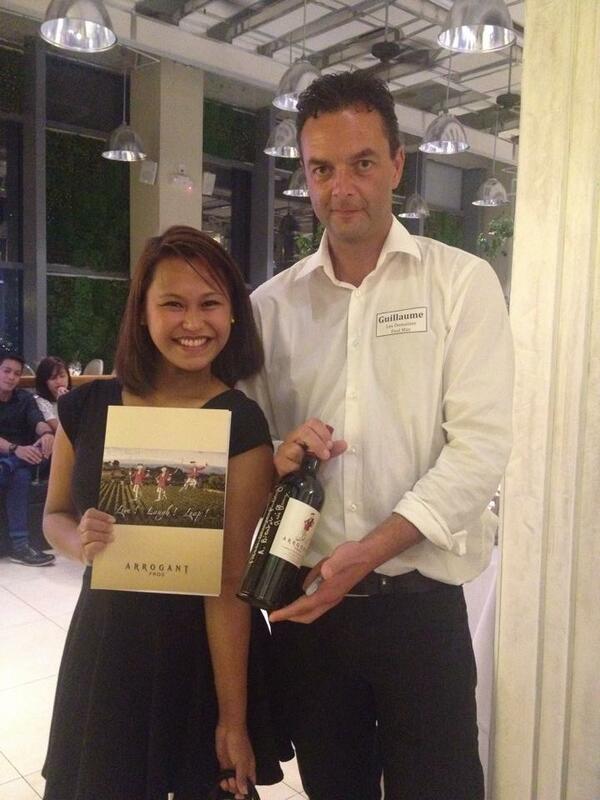 Happiest though are wine lovers from Cebu and Davao since the brand is available in retail outlets. Hopefully soon it will also be in Metro Manila.